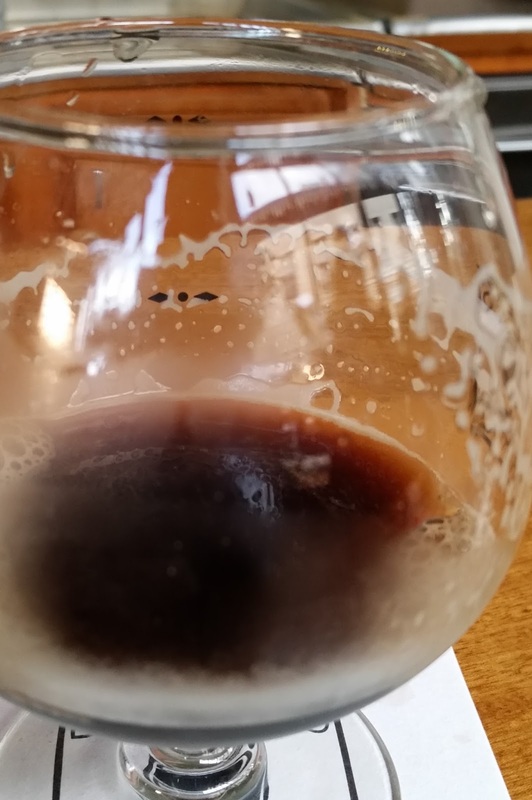 Santiam Bluegrass Stout - AoM: Beer et al. 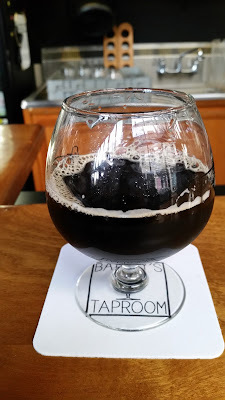 While Ada waited in line for Voodoo Doughnut, I sought out beer at Bailey's Taproom. I started with Santiam Bluegrass Stout, $3 for 4 oz ($7 for 7 oz). It's described as an imperial stout with coconut, barrel-aged bourbon. Salem, OR. 10%. I smelled alcoholic fumes. There was some carbonation. It had a sour taste. It tasted great. Anyone who enjoys beer with a sour taste will likely enjoy it as well. I especially appreciated the lighter, sour taste, because I have not had many beers recently. An Imperial Stout aged in bourbon barrels for 6 months. Dark, smooth, slightly roasty with complex nuances from the barrel aging.